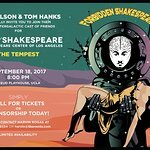 The Promises Foundation will host the 8th Annual Polo in the Palisades fundraiser at Will Rogers State Historic Park in Pacific Palisades, California, on September 28th between 11:00 a.m. and 3:00 p.m.
Master of Ceremonies KTLA’s Wendy Burch will emcee the festivities, which will feature actor Matthew Perry among other award recipients, a special luncheon, three polo matches and a live auction. Enjoy a beautiful day of fun, food and fellowship as we bring a little South Hampton to the Palisades. “This year the Wells Fargo Team and Promises Treatment Centers Team will be battling for the winning title, joined by our returning champions, The Indianapolis Colts Team,” said Bryan Moeller, Chairman of the Board of the Promises Foundation. This is a child-friendly, family event that will have pony rides, face painting, games and crafts for our younger friends. 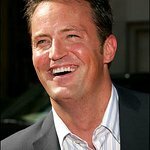 The Promises Foundation, a 501c3 public charity that supports Miriam’s House, will honor four outstanding individuals including Matthew Perry (actor of the mega-hit show “Friends” and substance abuse activist), Anne Douglas (Founder of the Anne Douglas Center for Women) Michael Nasatir (criminal lawyer to America’s top celebrities, musicians and political figures) and Peggy Albrecht (Executive Director of Friendly House). Miriam’s House, owned and operated by the foundation is a transitional living home that provides a one-year program of recovery services, parenting education, career guidance, scholarships and a pathway to permanent housing. The honorees exemplify the spirit of the organization as they have each made a profound difference in the lives of the city’s women and children, one family at a time. Individual tickets and table sponsorships to “Polo in the Palisades” cost $250.00 per person and up. Find out more here.